I also tried a different set of compression sleeves for my shin splints, but that didn’t work. It actually hurt me more than anything. I actually had to stop running for almost 2 weeks. Boy was I grumpy lol. Luckily I was able to return the shin sleeves and I will just continue to do what I am already doing for my shin splints. I have tried many many things for my shin pain but nothing worked. I took it upon myself to try all things shin splints related. What I found works for me….drumroll….. KT TAPE and ice!!!! Shocker, I know right? After talking with my alpha, I came to the conclusion that I need KT Tape to run. At first I saw this as a problem, but then I thought many runners need things to run. Some runners need a specific pair of shoes, or they HAVE to run with compression socks, or they need to wear a certain shirt. I need KT Tape to run and that is ok =) I am glad it is non medicated tape, and I don’t even feel it and it sticks with no problem, and it stays on for days.I see it as, at least I found a solution for me to run the long miles safely. 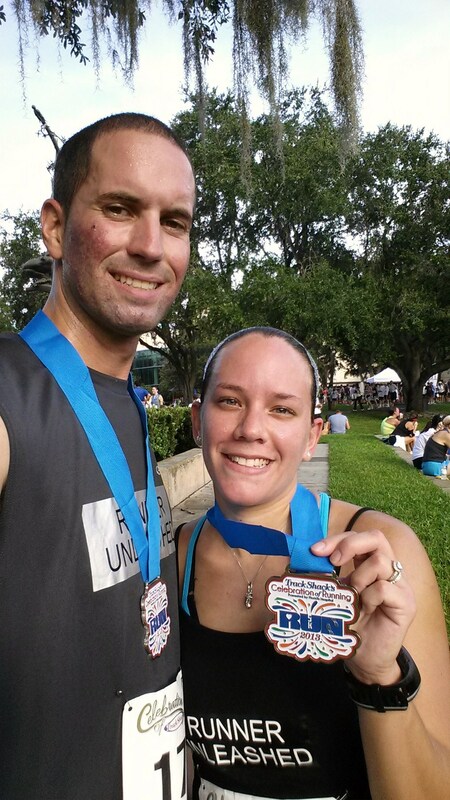 I also had a local 5K I was running in and it was tough! It had rained all night until the early morning so the road ways were wet, the air was thick and heavy. It was difficult being that it was hard to breath for all of us running. Nevertheless, we finished! It was soon after this race that I had to sit out some days from running, but I got back at it. I was able to test a few more mid run fuel options. And they both seemed to work very well! I was happy that I am finally getting somewhere as to what to use during my marathon. 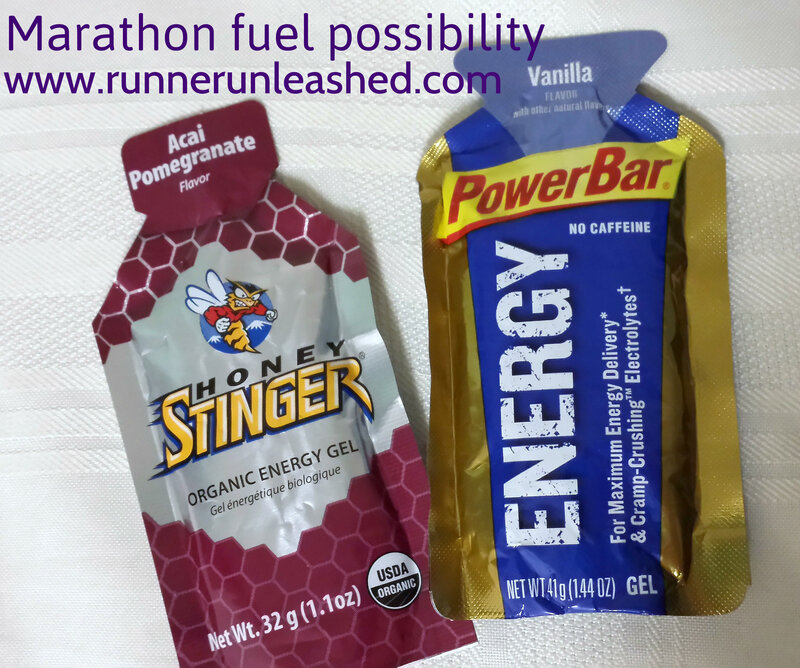 I started with the PowerBar ENERGY Gel I used it twice during a long run and it kept my energy levels up. I never got tired or slow at any point, my stomach didn’t get effected. It works! yay! The only problem I had with it, is that it is vanilla flavored! yuck! But if it works for me, I will deal with the flavor. I was able to run at around a 10:00 minutes pace which is awesome in my book! I ran my half marathon at 12-13 minutes a mile. I know I can run it faster, so I am training at a 10 minutes per mile pace! I also tried the Honey Stinger Organic Energy Gel and boy was it good! Yummy I love pomegranate!! It also worked well for me. I didn’t take the first gel until a little after an hour of running, I was starting to feel tired so I knew it was time to take it. As usual I do take it with water but this flavor was excellent! And the good thing about it was that I never got tired or slow! It gave me the energy boost I needed, therefore running an extra mile and I did just fine! I was also able to keep this long mileage training at around 10 minutes pace! In September, I have a new challenge that I created here on my blog, and also as Color Run ambassador, I will be running the race the 22nd! I am VERY excited for this race! I will be doing it with my little cheetah family!! Have you signed up? Did you know I have a discount code for you to use? It is a very fun, very colorful race for everyone to do!! It is NOT timed, you don’t need to train, you just need a white shirt and a smile! 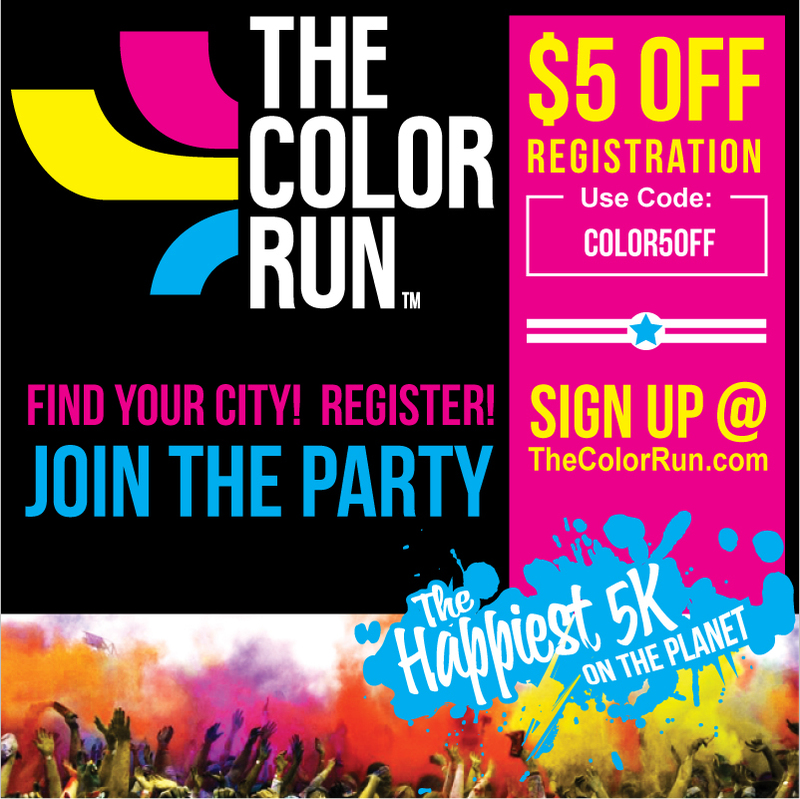 Check it out, and use the discount code and register at a race near you =) The Happiest 5K on the planet!!! Great post. I will have to try out those gels when I get to my longer mileage in 2 weeks (10 mi long run…yikes!). My shoes are Brooks Ghost 5 and I just got Ghost 6 to transition into in November. 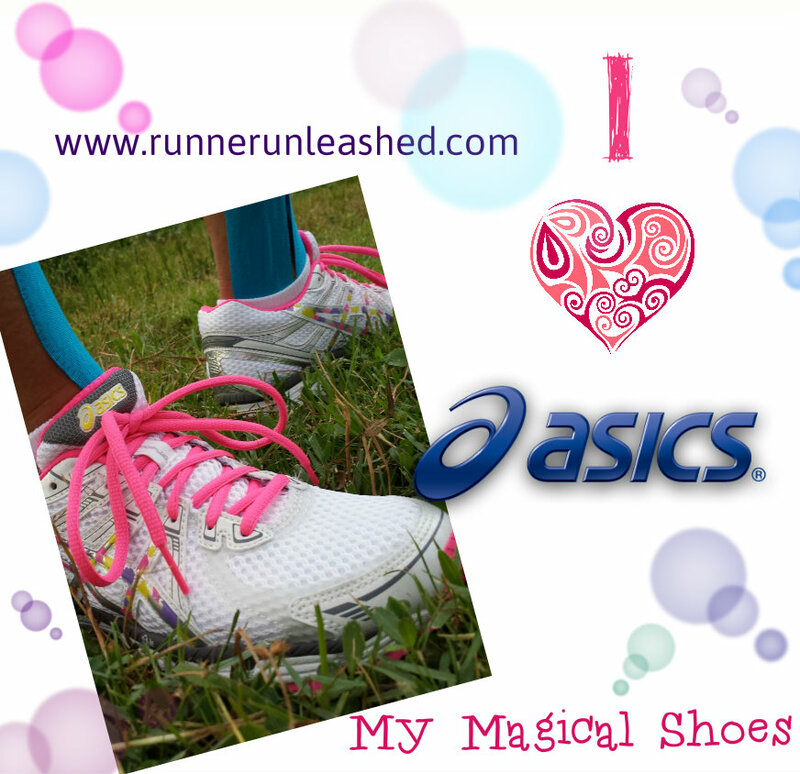 Asics are great for a lot of runners I know and my father swears by them. 🙂 Nothing is like the comfort of a new pair of shoes! I’m a shin sleeve girl myself and if I run without them it’s not good. 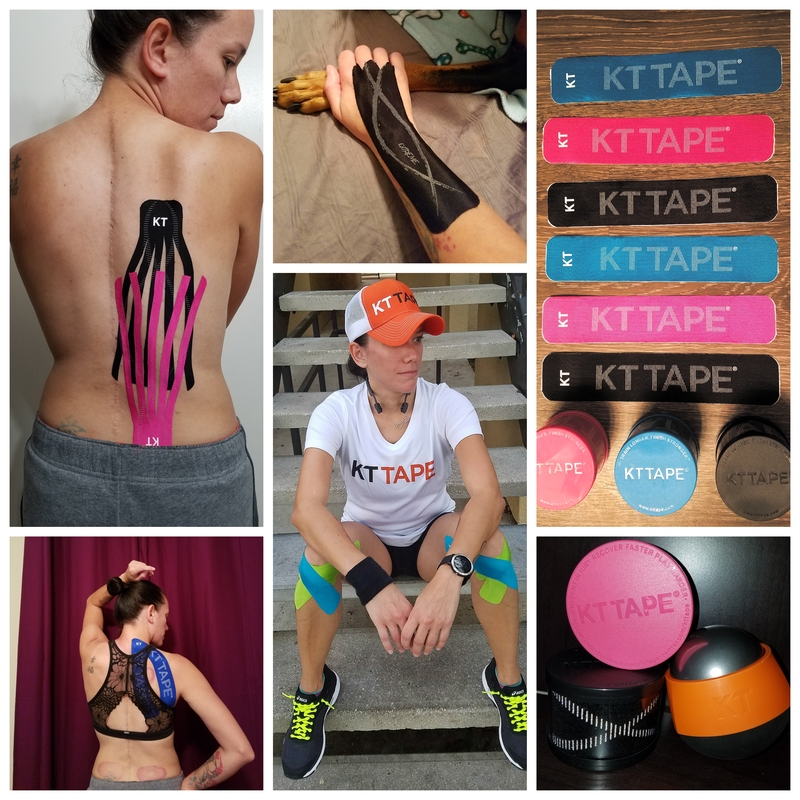 Although I am curious about KT Tape since it is working well for you. Again great post. Love this blog! thanks! looks like you are right on track in your training and shoes! I started off with Brooks but I love my Asics. Previous Previous post: Runner Unleashed September Challenge! Next Next post: Are you running the proper way? ?